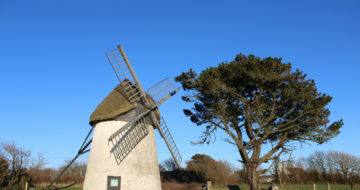 Tacumshane Windmill is the only surviving complete windmill in the Republic of Ireland. 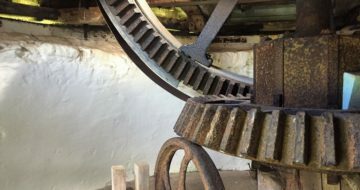 It was built in 1846 by the millwright Nicolas Moran, who obtained his training as an apprentice millwright in Rotterdam. The year 1846 is carved on the lintel inside the eastern doorway. A rare feature is its revolving straw thatched cap to catch the wind for its sails. 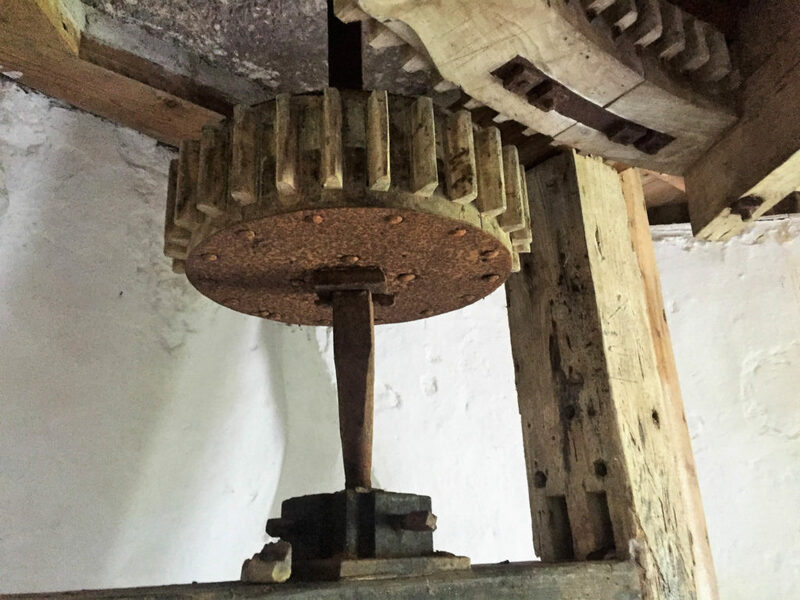 Virtually all the timber used in building this mill was driftwood or timber from shipwrecks in this coastal area. It appears to have been in use until at least 1908 when it was re-thatched by Richard Sinnott, a local man. Between then and 1930 the building became disused and fell into disrepair. 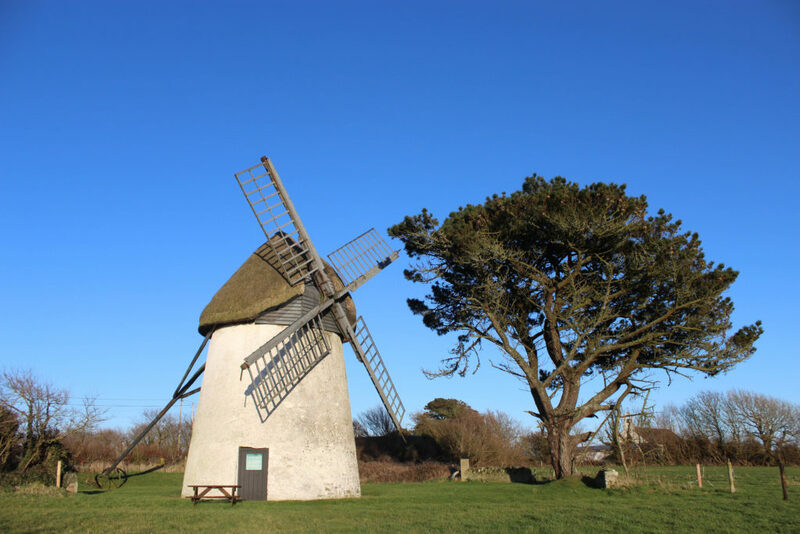 Garry Murphy acquired the mill in 1930 and replaced the damaged parts from iron machinery from the windmill at Ballyfane in Carne which was destroyed in a great storm in 1905. 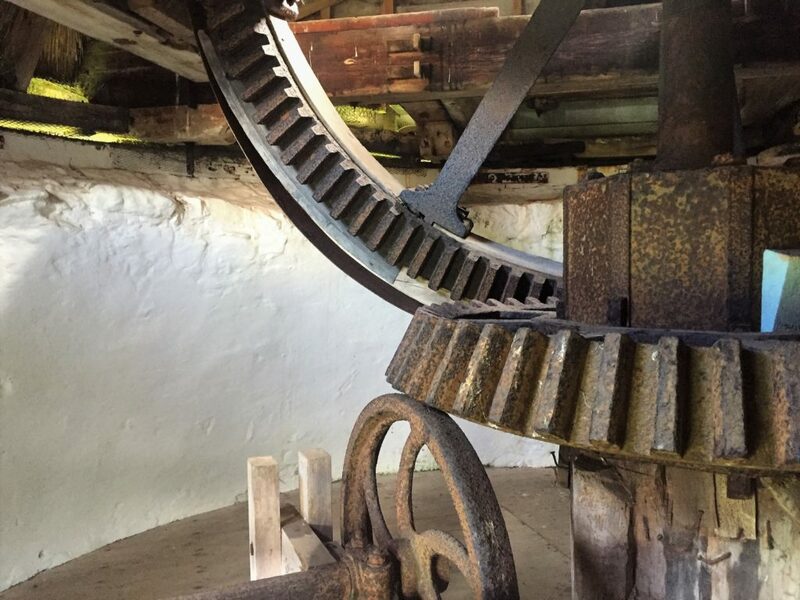 The Tacumshane mill functioned again until 1936 when a diesal engine was installed in the grain store beside the mill and there it drove a pair of small millstones for 25 years until 1961. 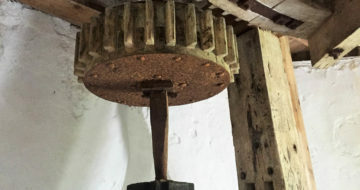 On account of its uniqueness, the Tacumshane mill was placed in the care of the Board of Works in 1948. Major repairs were carried out in 1952 and it was designated a national monument. Key available from the adjoining Millhouse Bar and Restaurant.